Owing to its durability, high strength, excellent finish and high corrosion resistance, our Butterfly Valve is widely in demand. We are the noted Butterfly Valve Manufacturer, Exporter and Supplier based in Maharashtra (India). Our Butterfly Valve is precisely designed using high-grade raw materials and advanced machines. 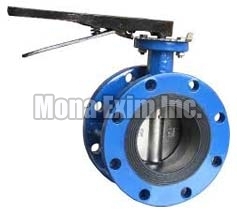 Furthermore, we make available our Butterfly Valve in bulk and at very competitive rates.